I had the Evel Knievel crashing car. 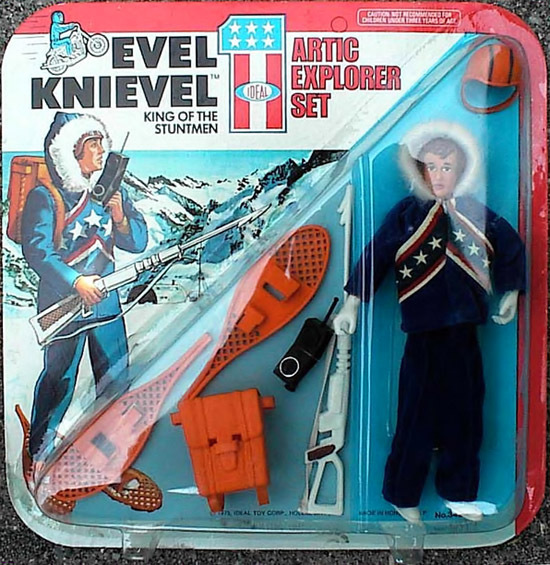 It was one of the coolest toys I ever had, I think. Wind it up on the….winder…thingy….and let `er rip into a wall and BANG! the whole car “exploded”. Pure awesomeness! BTW – your site is pretty incredible!